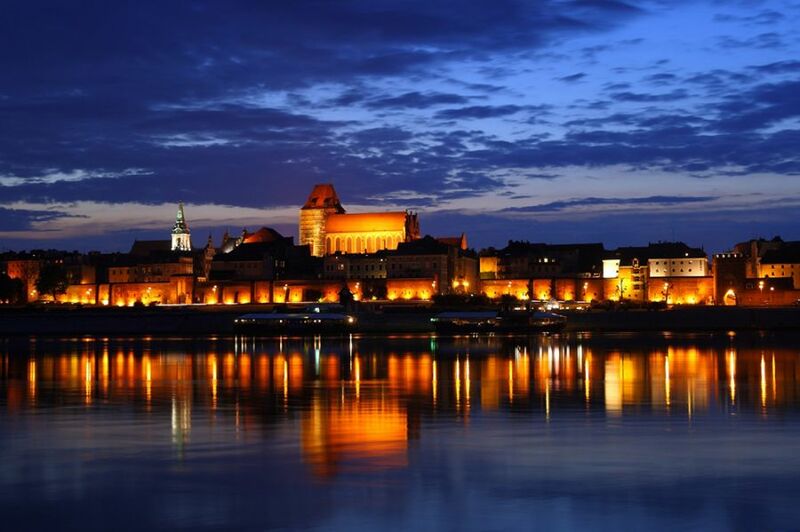 Visit of the capital city and the biggest city of Poland. 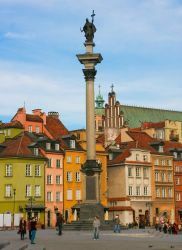 Warsaw is a place full of contrasts and memories from the past. The city center, completely destroyed during the World War II, was totally rebuilt when the war was over. During our walk we will vist the Old Town (UNESCO) and the New Town. 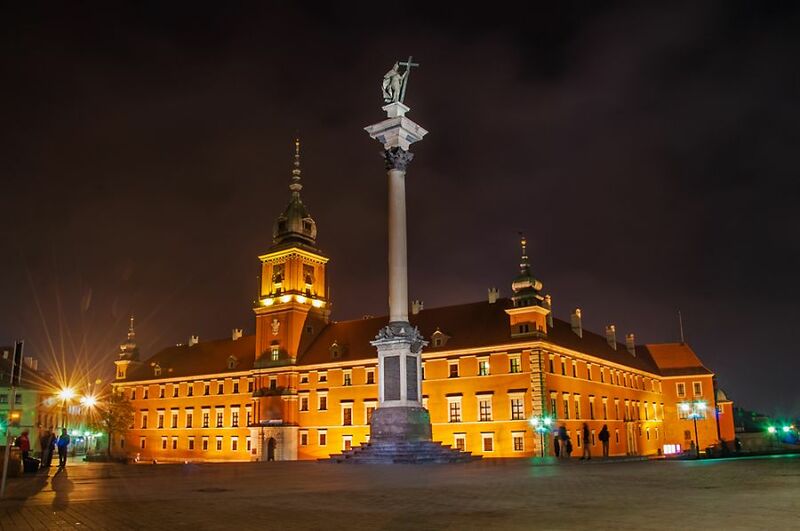 Here we will experience how was the life of the kings and of the inhabitants of Warsaw in the past centuries. 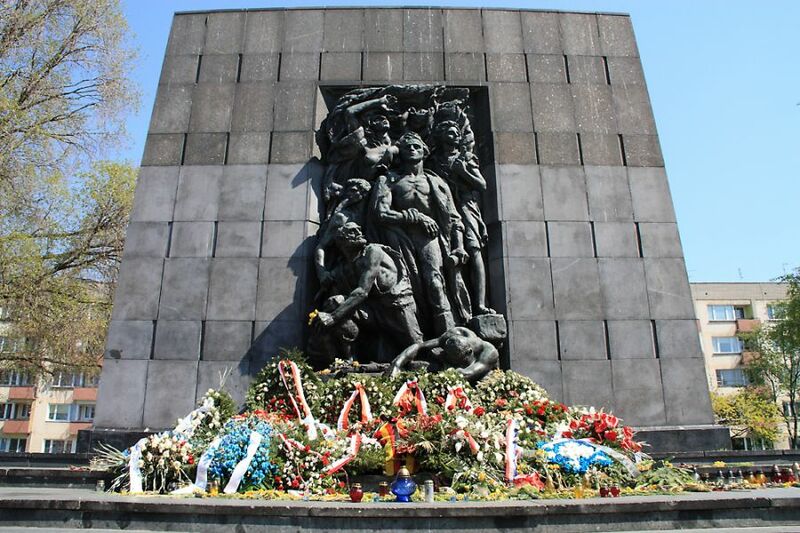 We will continue to the Krasinski Palace, the Supreme Court building and the monument of the Warsaw Uprising. We will see other important monuments of the city as well, like the Grand Theatre and the National Opera and the Tomb of the Unknown Soldier. We will finish our tour with a short walk through the Royal Route. 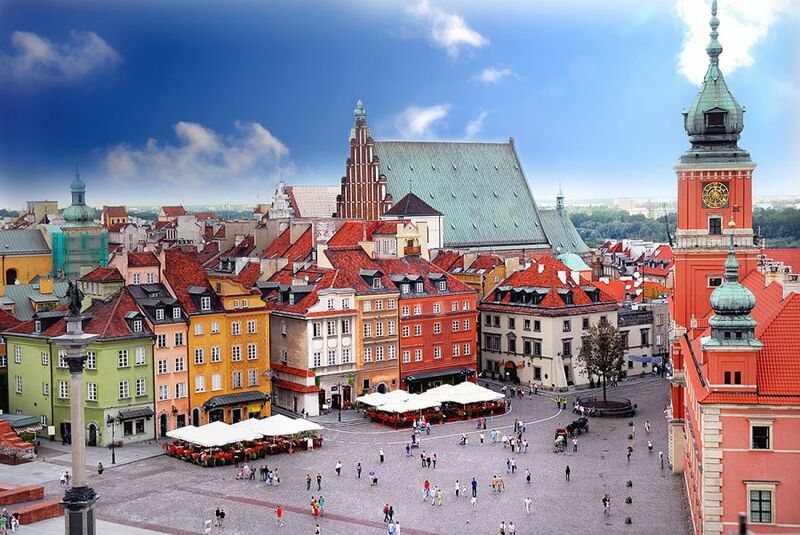 Visit of the capital city of Poland. 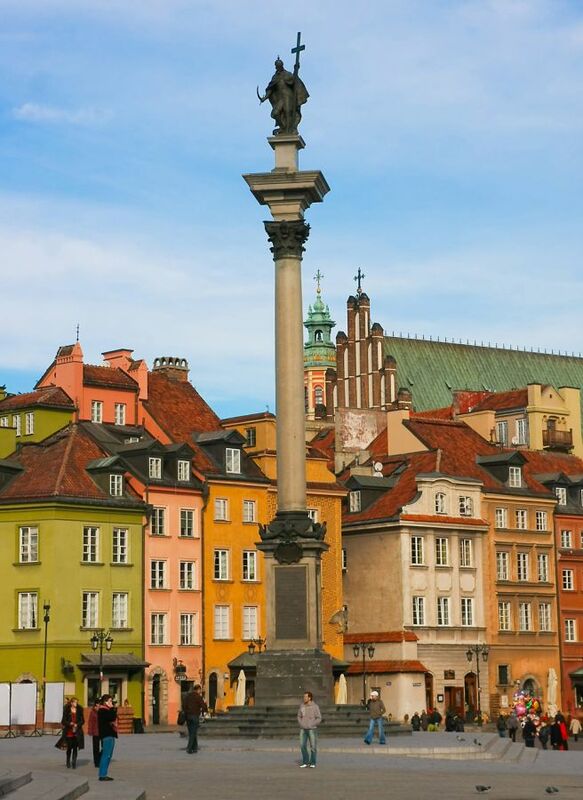 During the tour we will visit the most important places in the city and we will have an opportunity to know the past of Warsaw and the history of Poland. We will start our route with the visit of the Old Town (UNESCO) and the New Town. 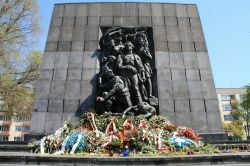 We will continue to the Krasinski Palace, the Supreme Court building and the Warsaw Uprising monument. 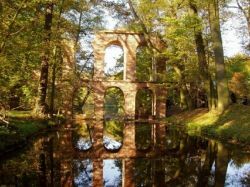 After that, we will go to the Lazienki Royal park where we will see the famous monument of Frederic Chopin where we will have an opportunity to relax in the beautiful rose garden and among the amazing nature of this place. 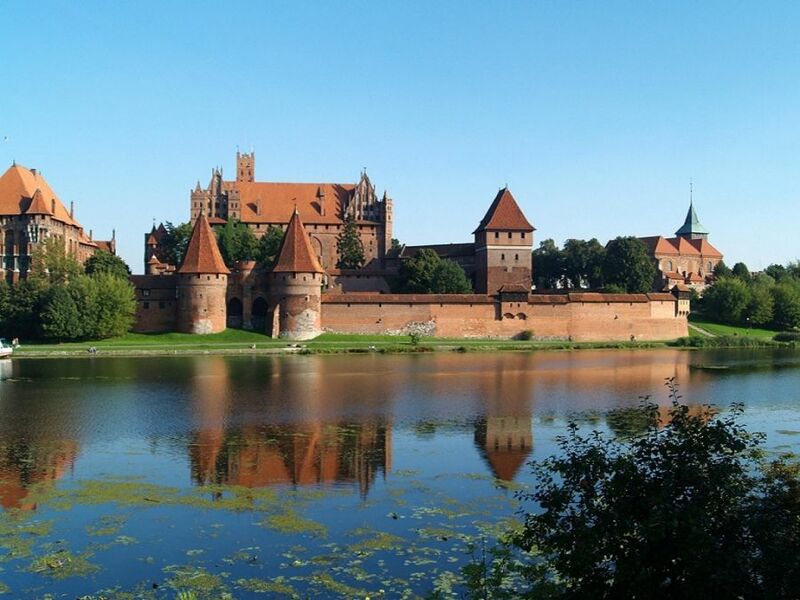 This tour allows us to know and observe the contrasts of the capital city of Poland. The tour starts with a walk around the Lazienki Royal Park. 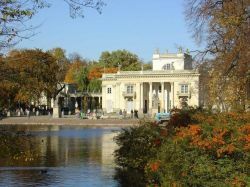 Here we will see the famous monument of Frederic Chopin, the Palace on the Water and the Theater on the Island. We will continue with transfer to the Old Town (UNESCO) and a short walk around the Old Town: from the Royal Castle, passing next to the Saint John Cathedral, the Market Square and the barbacane to the New Town. 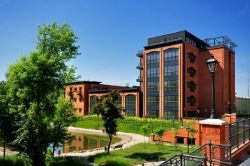 We will continue to the Krasinski Palace, the Supreme Court bulding. 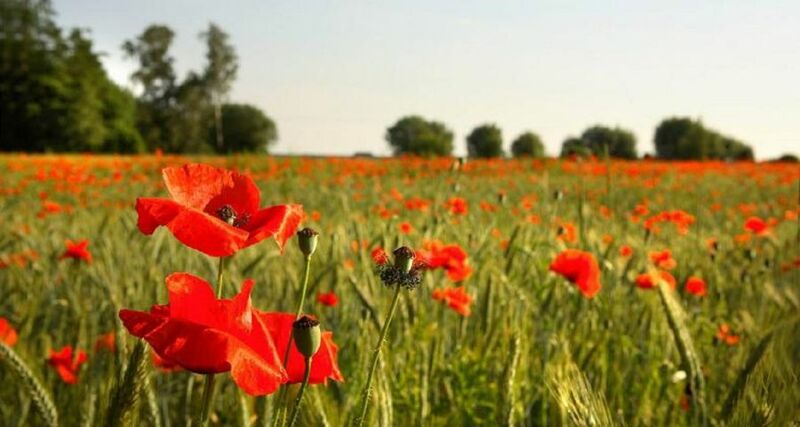 Our itinerary will continue with the Grand Theatre and the National Opera, the Jablonowscy Palace, the Tomb of the Unknown Soldier and the Saxon Garden. 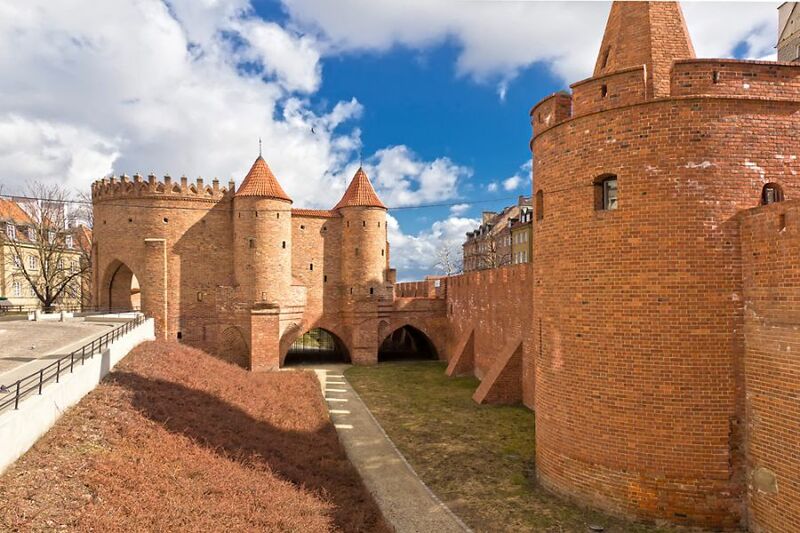 We will also go to the former Jewish getto area and the places connected to the Holocaust during the Second World War: the Umschlagplatz and the Monument of Heroes of Guetto. 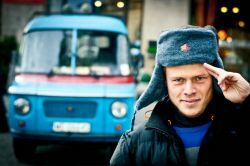 We will pick you up from your hotel in our original ex-communist militia van and take you for an unforgettable ride exploring the legacy of Polish socialist era. 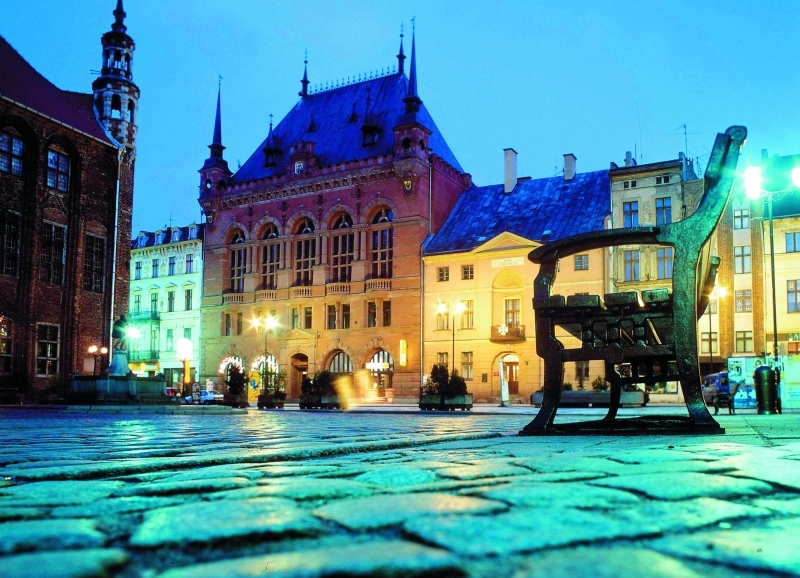 First we will visit the famous Constitution Square (Plac Konstytucji) with its architecture and decorations inspired by and devoted to the working class. Here you will feel the spirit of the socialist propaganda, you can also take part in a challenge to find a sculpture which looks like Lech Walesa! Next we will stop by the Ministry of Agriculture building where you will learn about the utopian plans of reconstructing the city ruined by war. We will also have a quiz with food ration-cards as prizes, which you will soon be able to exchange for shots of vodka! Our next stop will be the iconic Palace of Culture and Science - Warsaw’s questionable “gift” from “Uncle Stalin” - before we move on to very nerve-centre of Polish communist system: the former seat of the Central Committee of Polish United Workers’ Party, known as the “House of the Party” (“Dom Partii”). 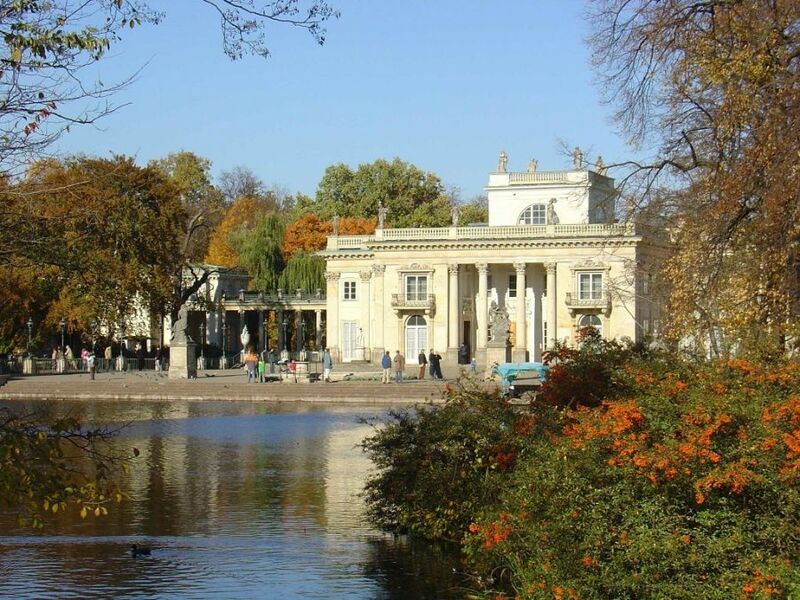 At the end we will learn about all the quirks and intricacies of everyday life under the communist regime by taking a sentimental tour of the brilliantly equipped Communism Life Museum – the Magic of PPR (”Polish People’s Republic”). After the tour we will take you back to your hotel. From the 11th century till the beginning of the World War II, Poland was known as the cultural and spiritual centre of European Jews. 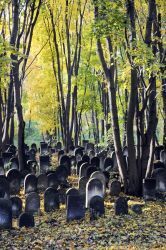 Many of the Polish Jews gained the fame all around the world. 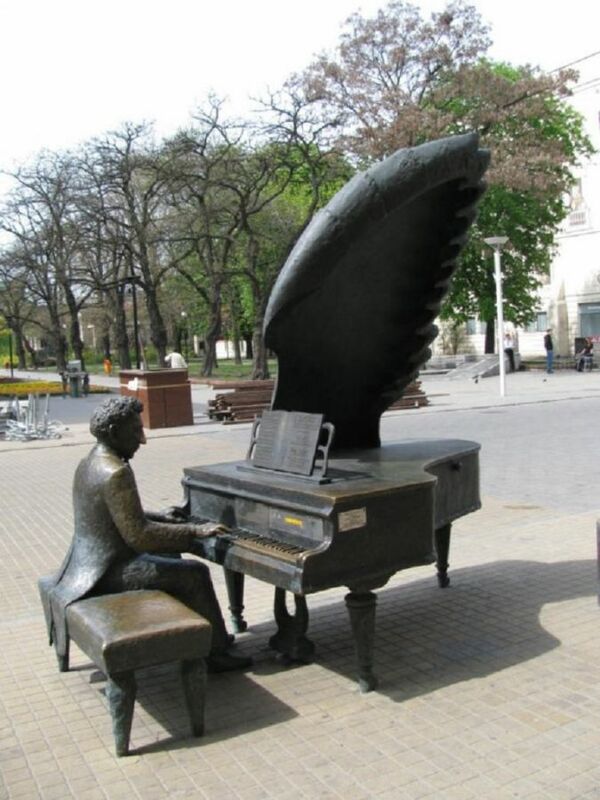 As examples we can mention: Arthur Rubinstein, Wladyslaw Szpilman (his story is the base of the Polanski’s movie “The Pianist”). 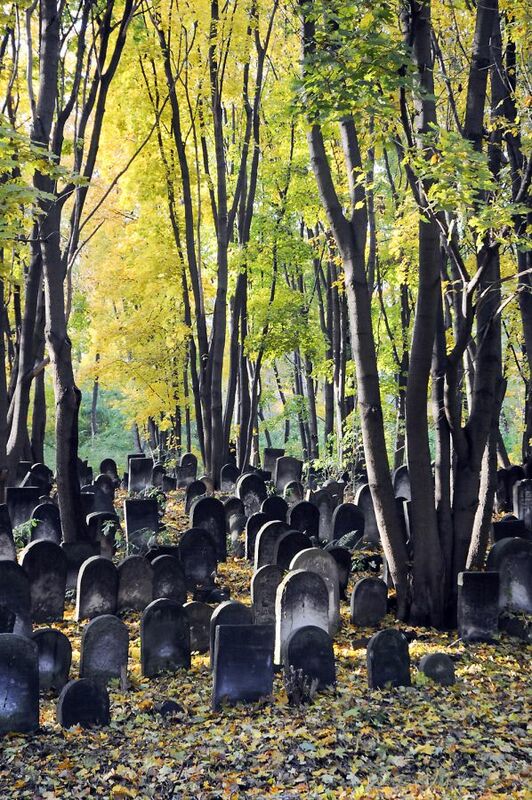 During your trip around Warsaw you will have a chance to see parts of old Jewish Warsaw, synagogue, kirkut (cemetery) and other places connected with the rich history and traditions of Polish Jews as well as the monuments commemorationg martyrdom of Jews during WWII and Jewish Uprising in the Warsaw Ghetto. 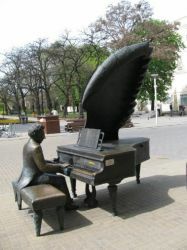 The Frederic Chopin’s Heritage Tour is an obligatory route for all the lover of the Chopin’s music. 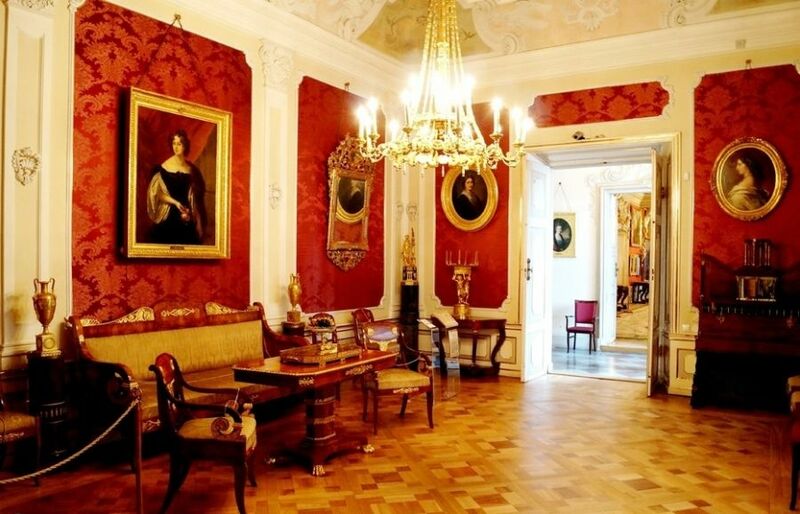 During the tour we will visit the places connected with the childhood and youth of the great Polish composer. 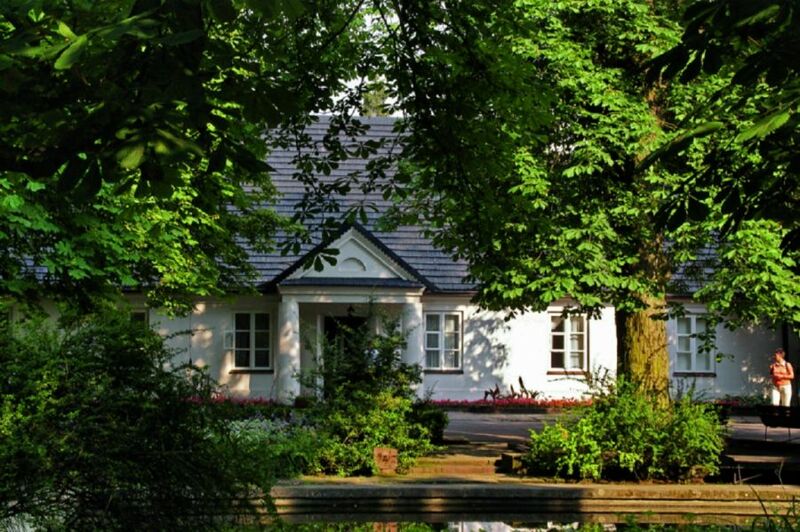 Transfer from Warsaw to Zelazowa Wola - the birthplace of Frederic Chopin. 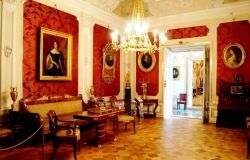 Visit to the museum in a manor house in the park, visit to Brochow fortified church where Chopin's parents as well as his sister got married and he was baptised there. Transfer back to Warsaw. 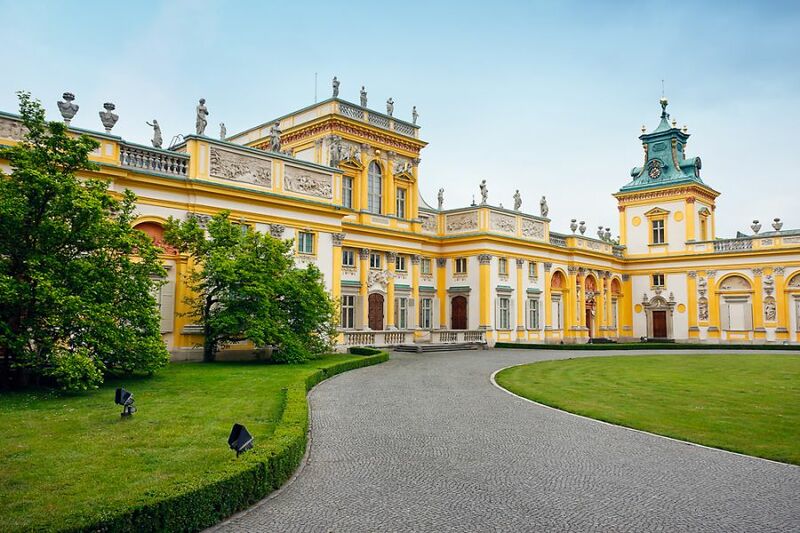 Wilanow Palace is one of the most beautiful architecture monument in Warsaw called "The Little Versailles". 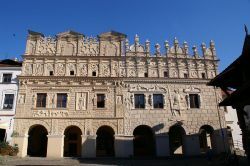 The typical baroque palace is remarkable for its original architecture, a blend of the European art with the Old-Polish building tradition. 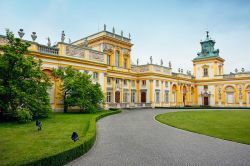 During this trip you could visit the royal summer residence of the King John III Sobieski on the outskirts of a city with a beautiful French style garden and a landscape park. Western Mazovia is a region of beautiful nature, folk art, country manors, old churches and palaces. 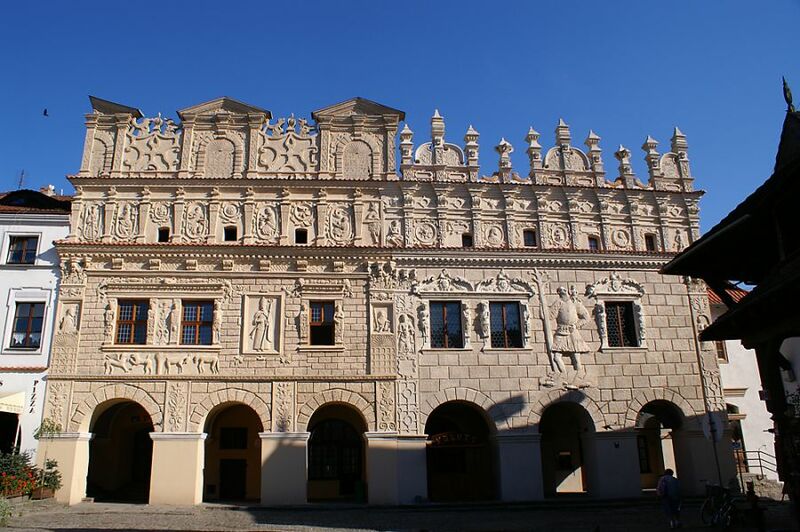 During this exciting tour you would visit Lowicz known thanks to the local art and a museum full of typical costumes, paper cuttings, embroidery as well as fully equipped and decorated old country houses. On the way to Nieborow, a gorgeous Radziwill family residence, you would stop in Arkadia, a sentimental, romantic park. Transfer back to Warsaw. 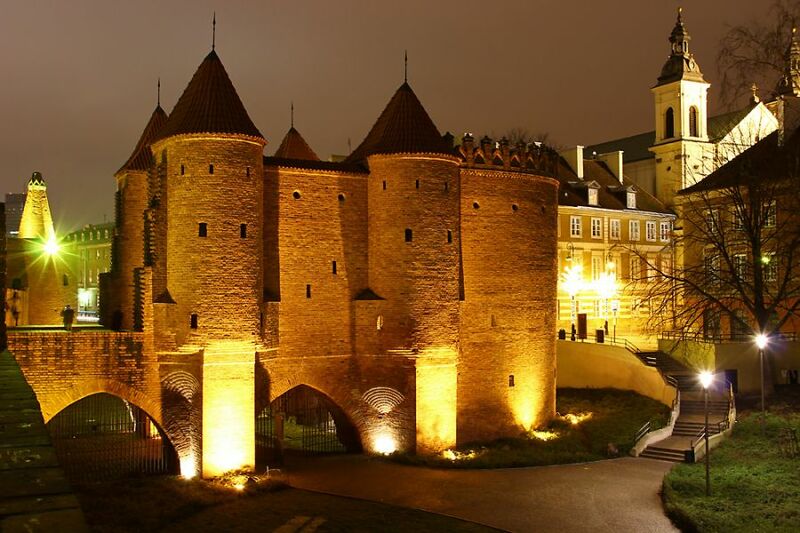 Transfer from Warsaw to Torun, the best example of medieval gothic town (UNESCO Heritage) and birthplace of great Polish astronomer Nicolaus Copernicus who made a crucial discovery that the Earth is not the centre of universe. 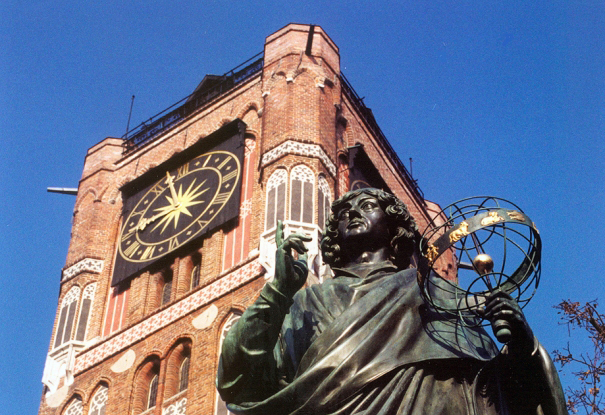 During the walk along the Old Town we would visit the Copernicus House and the Cathedral with a bell tower offering a splendid view over the city. 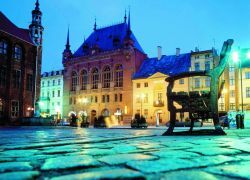 Time for a souvenir hunt could be a chance to try gingerbread - a speciality the city is famous for, that is baked according to old recipes and methods dating back to the 16th century; transfer back to Warsaw. 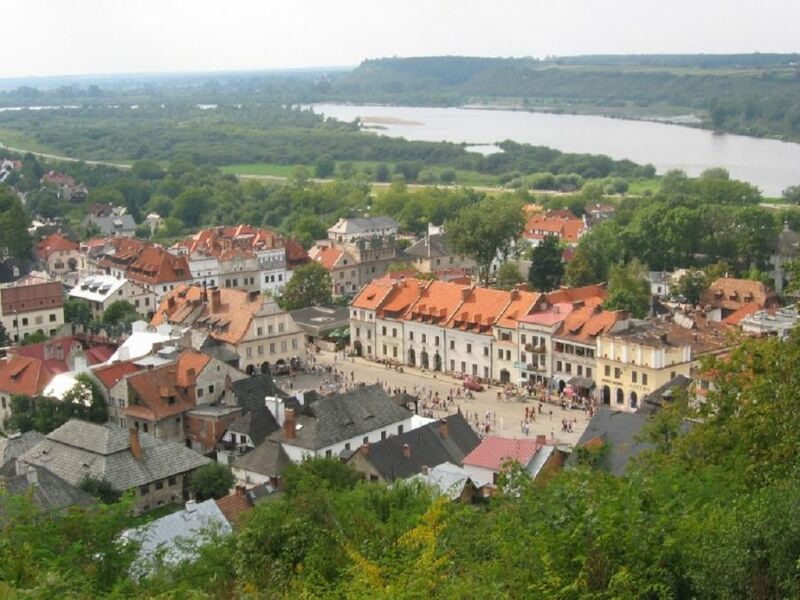 Transfer from Warsaw to Kazimierz Dolny, the picturesque town beloved by artists. From the old tower, the ruins of the castle and the "Hill of the Three Crosses", you could enjoy a panoramic view of the town and Vistula River and have a chance to explore a mysterious Roots Gorge. 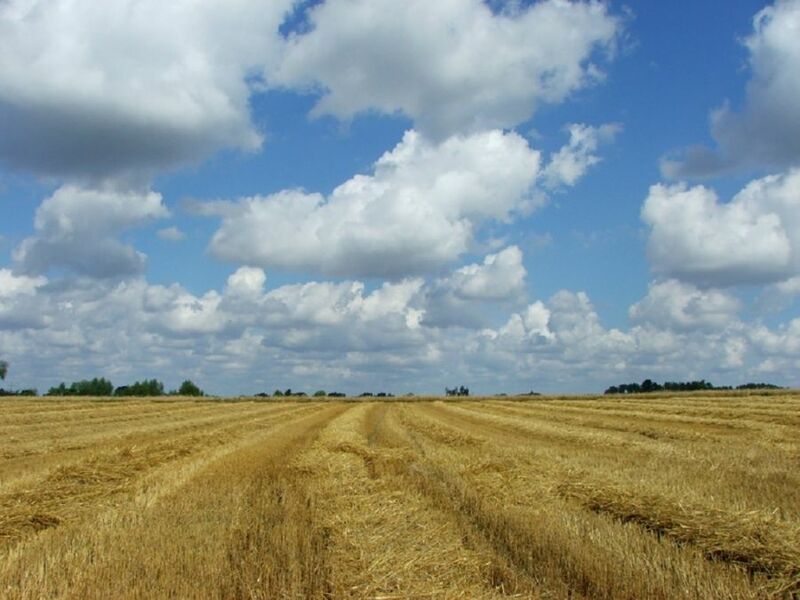 This beautiful natural scenery with woodlands, fields, orchards and hops plantations is protected by Kazimierz Landscape Park. Transfer back to Warsaw. 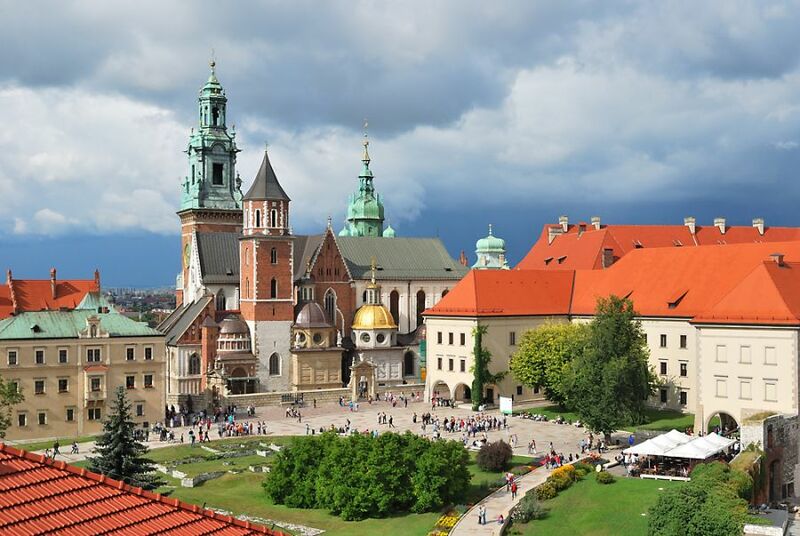 Transfer from Warsaw to Krakow, the cultural capital of Poland (UNESCO Heritage). 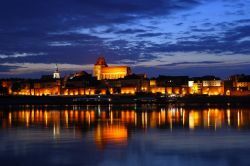 City sightseeing: walk through the Old Town to the Wawel Hill, visit to the State Apartments of the Wawel Royal Castle and Cathedral with Bell Tower and Catacombs. 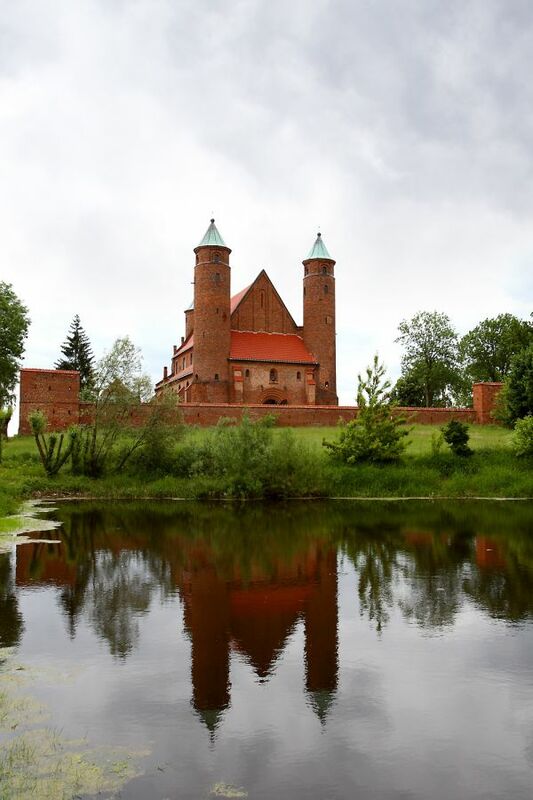 Further walk along medieval cobblestone streets of the Old Town: St Mary's church, the Sukiennice cloth hall, defensive walls and Barbican; transfer back to Warsaw. 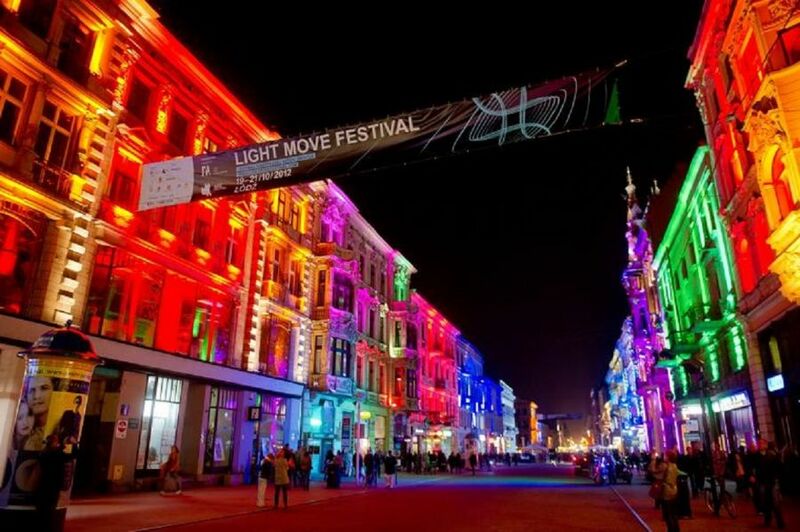 Lodz is one of the biggest Polish cities. During your visit you would find traces of the four cultures: Polish, Jewish, German and Russian that coexisted there and became one. Furthermore, you would admire modernist and industrial arquitecture. Thanks to its numerous factories, Lodz was also called the „Polish Manchester”. 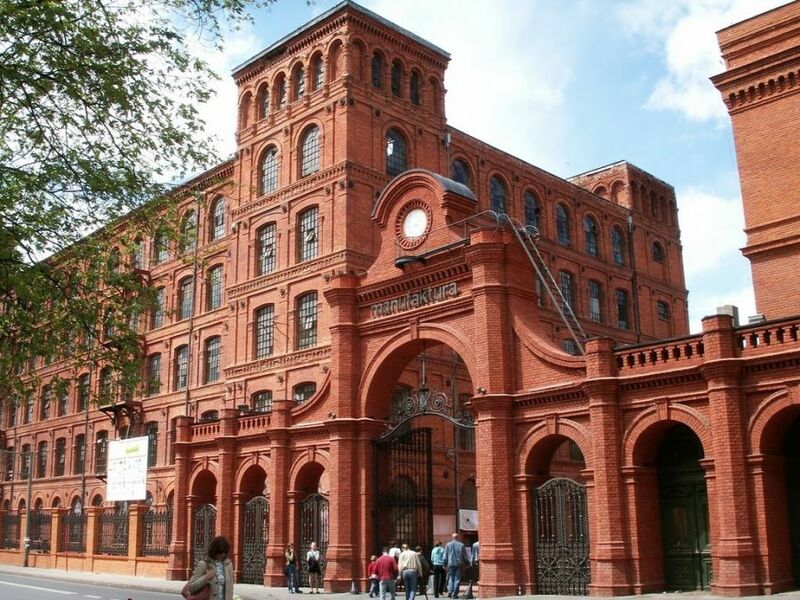 During the route you would see the Old Town and the industrial complex of Poznanski family, the famous Manufaktura. Next, you would visit the Scheibler fabric complex „Księży Młyn” that is a great example of the revitalization of the city during the last years. 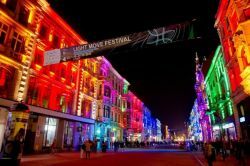 In the end, you would discover Piotrkowska Street, the most popular walkway full of shops, pubs, restaurants and sculptures that commemorate famous inhabitants of Lodz. Transfer back to Warsaw. Meeting point: Warsaw Central Railway Station - main hall, at the entrance to the Warsaw Tourist Information.